George W. Herring, 83 Years Old, Native of Callaway County, Passed Away Saturday. George Washington Herring, 83 years old, a native of Callaway county and a veteran of the Civil War, died at 3:00 o'clock Saturday morning at the Callaway Hospital in Fulton, where he was taken Friday evening. He had suffered an attack of influenze in May which caused complications resulting in his death. A short funeral service will be conducted at the grave at 1:00 o'clock Sunday afternoon by the Rev. W. Garnet Alcorn, paster of the First Christian Church, and burial will be in Hillcrest cemetery. Mr. Herring was born on a farm six miles south of Fulton in the U.B. Church neighborhood, February 14, 1846, his parents being the late George W. and Lucy Simcoe Herring. He spent the greater part of his life on the farm, but moved to Fulton seventeen years ago, where he had since resided. During the Civil War he served as a member of the Confederate Army. At the close of the was he returned to Callaway county and on February 19, 1871 was married to Miss Josephine Allen, who died December 6, 1922. George Washington Herring Jr., my great grandfather. Picture taken summer of 1917, Callaway Co., Missouri. Picture taken in summer, 1917. From left to right; George Washington Herring Jr. (my great grandfather), Dolor Herring (my grandfather), Clyde Bob Herring, Seth Jack Herring, Brent Herring, Herbert Herring, Norman "Pete" Herring, Allen Herring. Fulton Missouri. 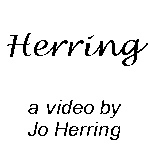 Slide show of my Herring ancestors. If it doesn't work right the first time you play it, reload the page. This video also has sound. Death certificate of Herring, George Washington, Jr.
14 Feb 1846 - 15 Jun 1929. He was my great grandfather. Civil War Record, Herring, George W. Jr.
Record of surrender in Louisana of George Washington Herring Jr. May 26, 1865. He was my great grandfather. Record of Parole at Alexandria La. June 7, 1865. He was my great grandfather. Land Sale - George W. Herring Jr. Article in the Fulton Weekly Gazette about a land sale of George W. Herring Jr. He was my great grandfather. from the Missouri death index: HERRING, George Washington (Wash) Jr b: 14 FEB 1846 in Callaway Co., Missouri d: 15 JUN 1929 in Hillcrest Cemetery, Fulton, Missouri. His death certificate gives April 14, 1846 as his birth, however this info is wrong. He was born Feb. 14, 1846. They are buried next to son Dolor W. Herring and family in Hillcrest. Source Citation: Year: 1900; Census Place: Caldwell, Callaway, Missouri; Roll: T623 844; Page: 10B; Enumeration District: 19. Source Citation: Year: 1910; Census Place: Caldwell, Callaway, Missouri; Roll: T624_774; Page: 8A; Enumeration District: 22; Image: 76. Mark M. Shaw of Des Moines, Ia., last week bought the 110 acre farm of G.W. Herring, located seven miles south of Fulton, for $2,000, the deal being made through the agency of Hamilton & Crenshaw. Mr. Shaw owns a farm of 186 acres lying just south of his new place and intends to put the two in one and improve the property. 1920;Census Place: Fulton, Callaway, Missouri; Roll T625_909; Page: 3A; Enumeration District: 30; Image: 676. Living next door to son Clyde (Bob) Herring and family.